healthy living is lively, mature spring water because it supports the vital functions of the body particularly well. Since 2006 I have drunk the different varieties of St. Leonhard sources and can recommend them in good conscience. Even more: I want these living waters to be a part of you and your lifestyle. The special thing about the water of the St. Leonhard resources: They act as an "Arteserquelle' by their own efforts. The waters are untreated and also have, even after bottling, their natural energy and due to its original structures have high cell availability. They can be better absorbed by the body and especially promote the reduction of negative foreign substances. 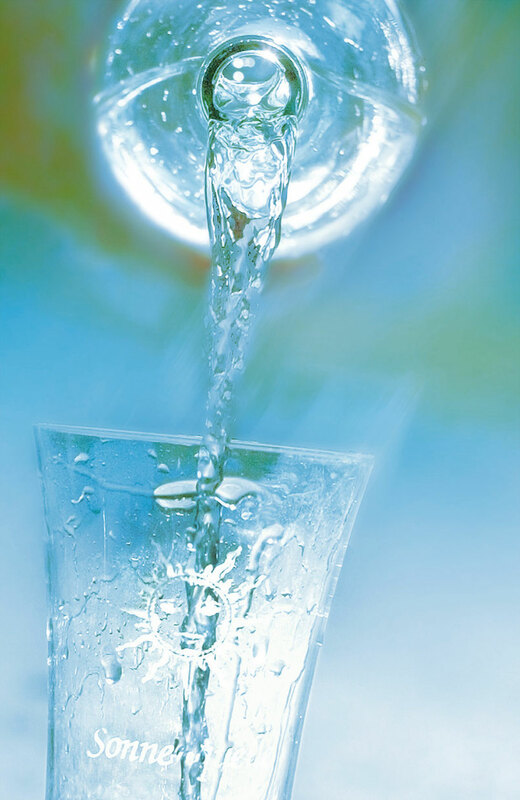 Good taste, convincing analysis values (bacteriological, chemo-technical, biophysical, bio-sensory) and eco-friendly manufacturing, guarantee consistent quality of the St. Leonhard's waters. Their soothing, health-promoting effect has been confirmed by biochemists, doctors, cancer researchers and lifestyle gurus alike. EVERY WATER VIBRATES DIFFERENTLY: JUST LIKE EVERY PERSON! The quality of water can vary widely, depending on where it comes from and how it has been treated. You can taste the difference. Taste is a matter of personal perception that everybody agrees is necessary for body and soul. The range of St. Leonhard includes 8 waters from 2 sources. These "water pharmacies" offer everyone the chance to refine his own personal sense of taste and conscious experience, to decide which water suits him/her the best.